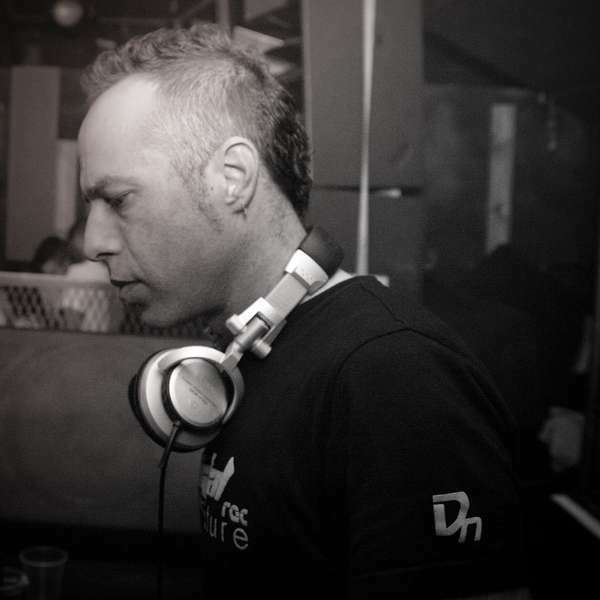 Etay Harari is Etic, one of the founding fathers of what is now commonly called progressive trance. 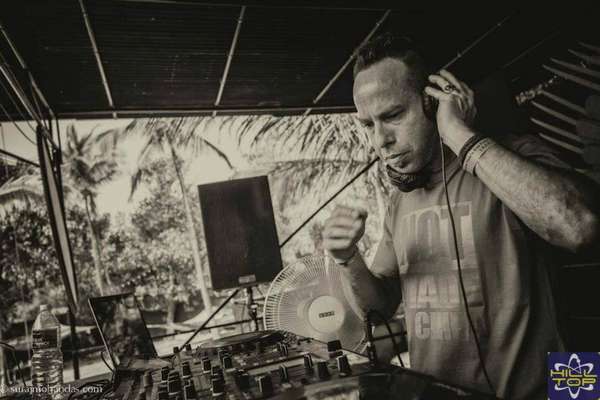 Switching from rock to psychedelic sounds in ’99, he most certainly hasn’t looked back and has gone on to produce five albums, a shed load of collaborations and remixes and launch one of the psy scene’s most consistently top labels, Digital Nature Records, with studio wingman and collaborator Aerospace. With the man himself making a rare London appearance at the next edition of Tribal Village – A Psychedelic Adventure on Saturday 9th September at The Steelyard, we figured this progressive pioneer deserved a well-overdue HarderFaster debut! Hi Etay, thanks for taking some time out to answer a few questions ahead of your set at Tribal Village in London next month. Music has always been a large part of your life and you were a sound engineer, guitarist and drummer for many years. For those who don’t know you, can you remember when you first decided you were going to become a musician? Are you classically trained or did you pick it up along the way? I was never classically trained, but I took drum and guitar lessons as a teenager. Music always fascinate me since I was a kid; I remember playing with Casio and Sony mini synths, but I never considered myself as a pro musician until today. I like to write songs and produce music and also play it on the right stages to the right crowd. You started ‘Etic’ around the start of this century. What inspired you to make the move from rock into dance music? Can you remember when you first fell in love with progressive trance? The undercover parties in the middle of the ’90s must have been the cue for me to move into electronic music. Of course, I was also travelling in Asia that time and when I returned back to Israel and after connecting some guitars pedals to some DR drum machines and recording it to a 4-track, a friend taught me Cakewalk [music software] and I started the project Etic using a computer in ’99. There was no progressive trance back then, it took a few years to developed. Why the name Etic? What does it mean to you? Not too much. It started as Etik to represent me and my friend’s names when we made our first track. I changed it to Etic later when I wanted to go solo, as it’s short and catchy. Having released five albums and numerous tracks for various compilations, you’re now considered one of the veterans of prog. 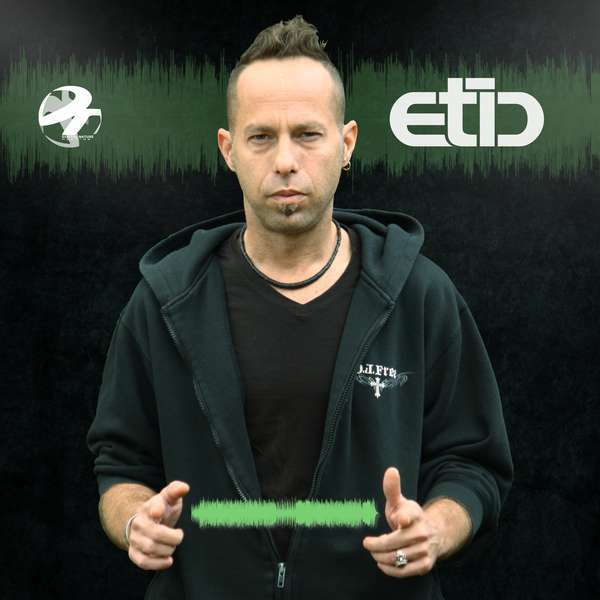 How would you describe the Etic sound? My sound has had a few evolutions over the years. I was doing faster music in the early days of the project, then I slowed down my bpm and made more melodies and atmosphere. Later, I dropped the melodies and did more powerful basslines with fat precaution elements. Today I’ve taken the bpm up again and try to take it to a more psychedelic and deep zone. I always try to stay away from trends and gimmicks in my music, to keep it less fluffy and more psychedelic. You are the owner of Digital Nature Records alongside Guy Youngman aka Aerospace. How did this come about and what does the label have coming up at the moment? I founded the label in ’10 to release my fourth album (Statistics). Guy (Aerospace) is a good friend and a colleague suggested we collaborate. Since then and 180 releases later the label kicks arse. We have a few good releases coming up and an artist album in ’18. As a label owner who DJs all over the world, you’re constantly exposed to the latest cutting-edge music. Which up-and-coming DJs and producers have caught your eyes and ears lately? Ekahal, a young Greek producer, who already had few good releases with us, with a fresh EP coming up in the end of august and a debut album in ’18. I can also name Dual Vision from Italy and System E from UK, as both have a great sound, colour and tracks. Running a music label in the digital age is not for the fainthearted and having started in 2010 and released hundreds of tracks, you’re now one of the more established players on the scene. What do you reckon is the secret of your success? There were times we both (me and Guy) lived from shows and the label only. Today we both do other things, so we take things in perspective, as we won’t be rich from music! But we can and do enrich the prog trance world scene by keeping the label style and colour, releasing fresh music and introducing new acts. Your latest release Psystorm with Aerospace is due to drop any day. Can you tell us a bit about it; or is it still under wraps? Yes! It was actually delayed and is now going to be released on September 12th. Psystorm is a bombastic dancefloor track we made on my last visit in Israel, Again, faster, more psychedelic and gimmick-free. Check it at Tribal Village. How do you know a track is ready for release? Do you like to test it out live on a few different dancefloors first? I do sometime test my track before I release them, just to see the reaction. If there’s a part I like less, I will rework it in the studio. For other artists, I will go briefly into the track and see if its structure makes sense and whether I would love to play it. You’ve recently been in the studio mixing and mastering your latest release, Time is an Illusion. Will you be testing out some of these tracks at Tribal Village? When is it due out? Time is an Illusion will be out on September 25th. It’s a hypnotic track I just made in Manila, where I’m based. I will play it at Tribal Village. How do you approach the creative process in the studio? Do you usually have an idea for a track in mind, or wait until you get in there and start playing around? It’s a good question! I always have musical ideas running through my mind, this can be in any genre, But not like songs, in making trance I always start from the same square 1, a kick and a bass, Then I just try to take it to the atmosphere and vibe I’m aiming for. I can say: I have a colour I look for, not a solid idea. You’ve also got a techno project on the go, D-solve. Do you find the techno scene very different to the prog trance scene? Who or what are your main techno influences? With D-solve I do more club-oriented music, it’s more deep house than techno – but I can make techno too! I would say it’s a very different scene and crowd. I don’t have many big influences from this scene, it’s more of an exploring and collaboration project. I do like Khen and Guy J’s colour and style. Having played at some of the biggest events and festivals all over the world, released five albums and established a successful label, what would you say the highlights of your career are so far? And what’s still on your bucket list? I hope the highlights of my career in music are still ahead. I’ve had many picks during the years, too much to name few, but I still haven’t got recognition from many big events like Ozora or Boom, so they are on my list. I know what goes on tour is supposed to stay on tour, but what’s your craziest story from life in the road? I remember a crazy 30-hour bus crossing Brazil with 20 international acts on it and more, going to Fora Do Tempo Festival. This trip was unforgettable, but I have many more crazy stories from the road. It’s a crazy scene with crazy people, so crazy things always happen – always!!! 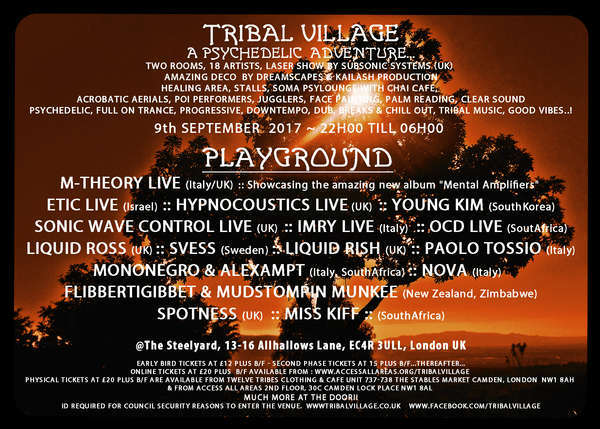 You’re headlining the latest edition of Tribal Village – A Psychedelic Adventure in London at the Steelyard on Saturday 9th September. Why should readers who don’t know you come and see you play? And what treats do you have in store for your fans? I think that after many years in the scene, producing, releasing a lot of music and seeing many dancefloors, my sets are very focused and straightforward. I understand the dancefloor and deliver. I don’t play top names or any commercial stuff and I mix well. I might have some T-shirts too! Many thanks for your time Etay! Looking forward to meeting you at Tribal Village! And please don’t forget to save me a T-shirt! I’m looking forward to it too. Thanks and see you there! 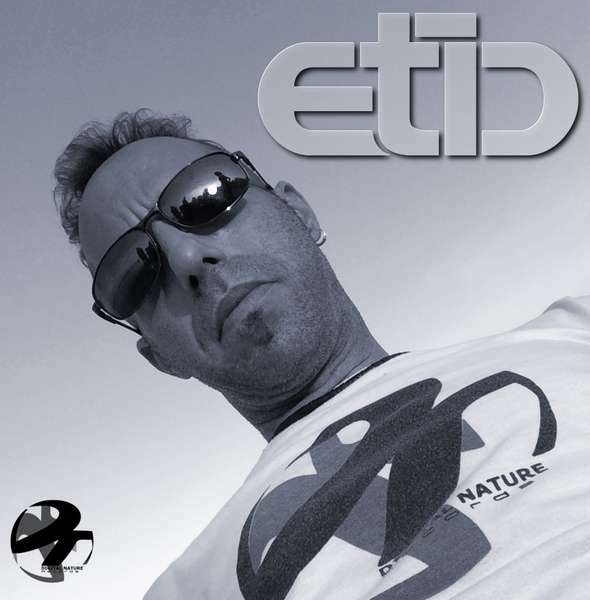 Don’t miss a rare London set from Etic on Saturday 9th September at Tribal Village! Advance tickets were still available at the time of writing from Access All Areas. Images courtesy of Etic. Not to be reproduced without permission.